Half the time…..Half the price……All the fun. We will start at 7:30 am if you sign up for the morning tour and 1:30 pm for the afternoon tour. We will departure from midtown Manhattan, 8th Avenue between 33rd and 34th Street (by Duane Reade) DON'T BE LATE! Come 15 minutes early to sign in. You will be greeted by your tour guide for the day and you will sign our liability waiver. Visit the first county park in the US, Branch Brook Park. Here you will find about 5,000 cherry blossom trees, more than anywhere else in the U.S. This is surpasses the national display of 3,750 cherry blossoms in Washington D.C. and has the most diverse collection of cherry blossom trees in the world. The 122-year-old park now includes 17 species of cherry blossoms, which varies in shade from white to deep pink. It is an unforgettable sight that draws thousands of eager visitors every year. You will have time on your own to explore this park. You will also find a small Cherry Blossom Welcome Center at the park. 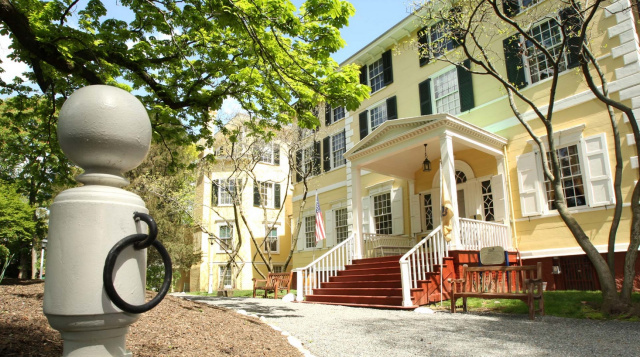 On this tour we will also visit the Liberty Hall Museum at Kean University, home of New Jersey’s first elected governor and signer of the Constitution, William Livingston. Receive a guided tour of the mansion which was built in 1772 as a 14-room Georgian Style home and has since grown into a 50-room Victorian-style mansion. 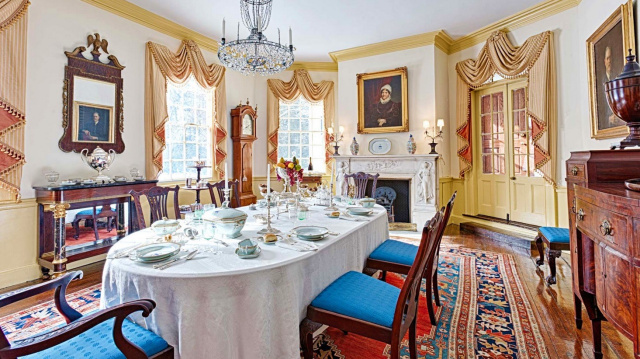 The site houses extensive collections of antique furniture, ceramics, textiles, toys, and tools owned by seven generations of the Livingston and Kean families. 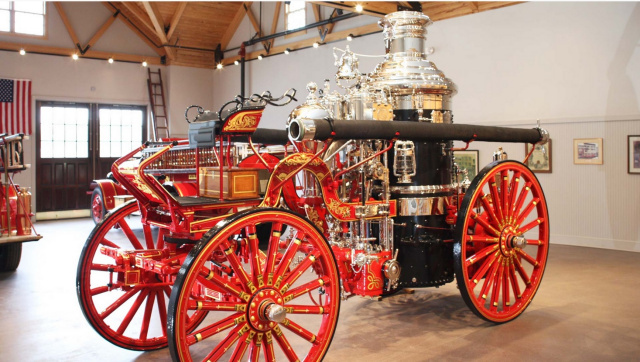 You will also find a Firehouse Museum, built in 2004, housing three antique fire engines, including a rare 1911 American LaFrance Metropolitan Steam Engine. Ancestors of the Livingston/Kean families have included Governors, U.S. Congressmen, and Senators. Learn about the stories of their lives, passed down from generation to generation. A visit to Liberty Hall Museum is a discovery of the living past. We will drive back to NYC. Arrival back to NYC at approximately 1 pm for the morning tour and at approximately 7 pm for the afternoon tour. FOOTWEAR: Good walking shoes. Do not wear dress shoes or high heels. RAIN GEAR: Even with no rain in the forecast, we recommend you to bring some rain gear. CAMERA: With extra memory/film is highly recommended. You will experience beautiful sceneries and interesting sites. CASH: Although our tour is classified as an "all inclusive". It is advisable to bring some cash for souvenirs and gratuities for the guide which is left to your discretion. FOOD/SNACKS: The morning tour will include a light breakfast, the afternoon tour will include a light afternoon snack. Please bring any additional food for yourself which you think you might need. 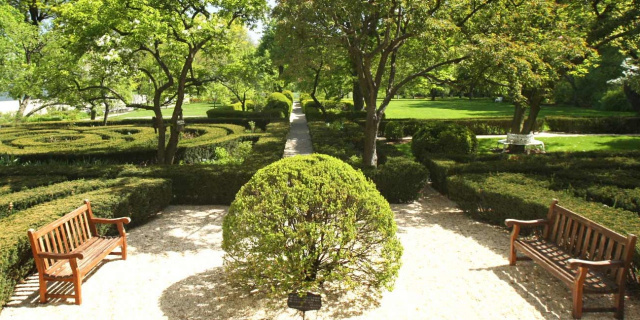 AN OPEN MIND: Although this is a recreational/leisure tour, you will also learn about history.